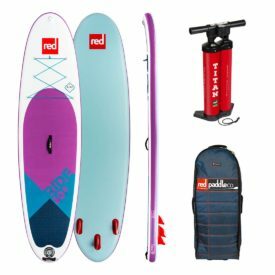 The all round boards from Red Paddle Co are designed to suit many paddlers in many conditions, but with 3 boards in the range, which one is right for you? Today Reuben from SUPboarder takes us through the Red Paddle Co Ride range and helps to highlight the features, strengths and weaknesses of each board. 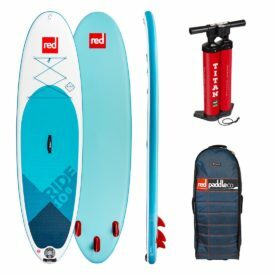 If after watching the video above you still need help in selecting the right Red Paddle Co Ride board for you, give us a call on 1-888-252-4893, email us here, or live chat with us. Below is the transcript of the video with weight and price conversions, or if you struggle with the British accent! Welcome back to another SUPBoarder video and this week we are going to take a comparative look at the Red Paddle Co Ride range and a look at their three main, big players. We’re going to look at the 9’8″, the 10’6″ and the 10’8″ and we’re going to talk about what the differences are with these boards and who should be buying what board. 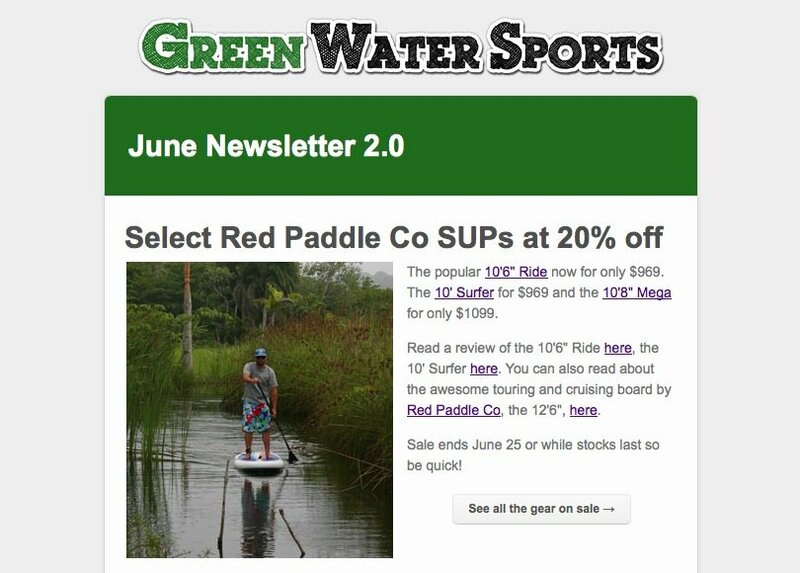 So a little bit about Red Paddle Co first, well Red Paddle Co started making iSUPs back in 2008, very much early pioneers of the iSUP technology and really helped it get to where it is today. They are always striving for the best quality of their boards and that is definitely something you can see in the 2018 ranger here. While we’re talking about quality, it’s a good time to talk about construction of these boards, because there are many iSUPs on the market and definitely Red Paddle Co have been pushing the quality of the construction of the boards since they started back in 2008. 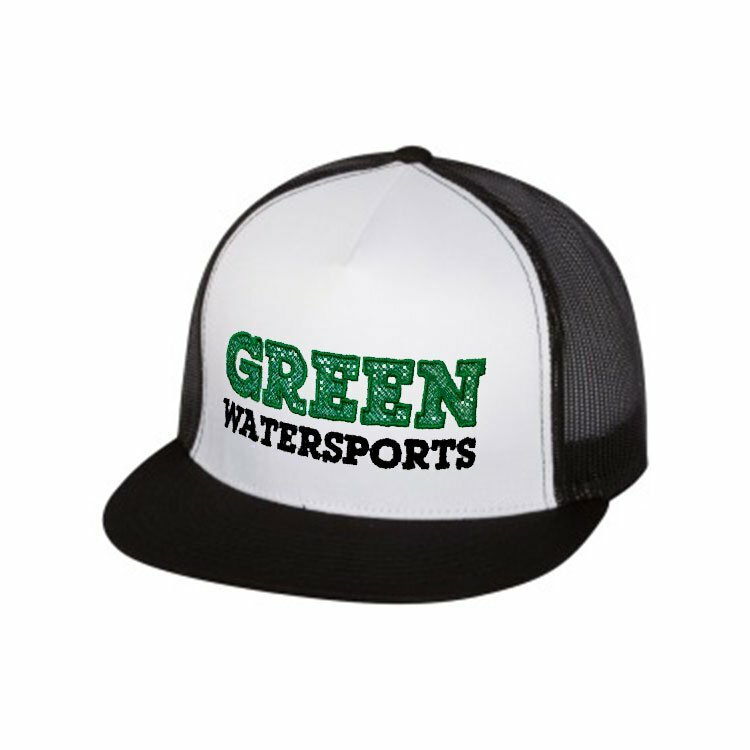 Made with good quality nylon drop stitch and their MSL technology which is where they have multiple layers of PVC but all put on in one go which reduces the weight of the board but keeps the strength and stiffness of the boards up. 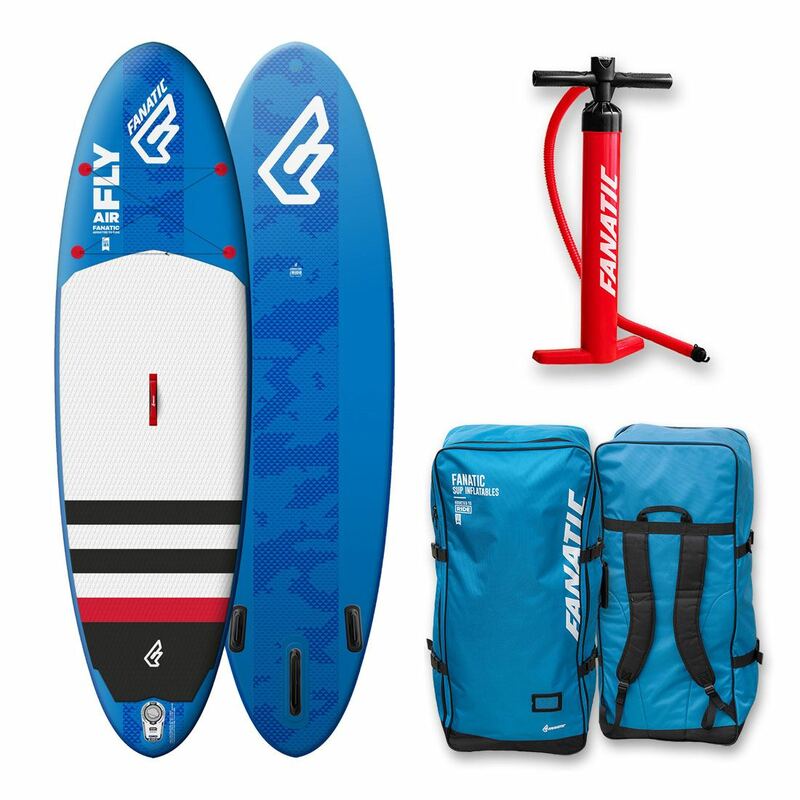 The weights of these boards this year, the 9’8″ weighs just under 10kg (20lbs), the 10’6″ comes in at 10kg (21lbs), and the 10’8″ comes in at 11kg (23lbs). There isn’t a huge difference between the 9’8″ and the 10’6″ because the 9’8″ has got the RSS battens which add a little bit more weight for its size. All of the boards have quite a few things in common when it comes to the features and fittings on the boards. This year, the big change for Red Paddle Co, their deck pads have got even more refined. Instead of having a diamond grip EVA deck pad, they’ve refined it and have little Red logos all over the deck pad. It looks really, really neat. And it looks like it costs quite a lot of money as well. So, actually it’s quite a nice feature to have that sort of thing, it shows the difference between Red Paddle Co and many of the other brands. Other nice things this year, the carry handle is even more comfy and a little bit firmer to grip but it still folds down nice and flat. The bungees for carrying stuff at the front are even bigger, so you can get even bigger loads on there, great for putting stuff up there from little flip flops up to full on dry bags underneath. Stainless d-rings up on the noses there, also have the RAM Mounts included so you can get various sorts of attachments that can screw onto your board. All the boards come with the same fin setup which is their 3 indestructible iFins. They’ve been using them on their boards for years and I’ve never seen one break or be damaged to this day. The Ride range has very much kept it’s continuity in color being the light and dark blue as they have had for several years, but this year, because it is their 10 year anniversary, they’ve come up with a Special Edition purple color which I really, really like. And it might be slightly girly for some guys, but actually it’s a very good looking board. So that is only available in the 10’6″ so bear that in mind, that’s the Special Edition. Before we look at the board sizes and shapes and who they are best for, let’s have a quick look at the bag and pump. Red Paddle Co this year have launched their Red Original range which is a range of accessories which can go alongside your paddle board, from t-shirts to dry bags to cool bags and we’ve got a full review of those coming soon, But you can guarantee that the quality that goes into those, also goes into the standard bag that you get with all the boards. Made with heavy duty ripstop nylon, wheels on the bottom, handles and carry positions absolutely everywhere. The back pack itself is a very, very comfy back pack, foam padding inside the main back area and foam padding around the lower area where sometimes if you pack your board wrong and your fins might go into your kidneys and stuff, that stops all of that. But the big thing the back pack has done this year, is you can undo all the velcro and you can tuck all your shoulder straps and waist straps completely away and have them completely flush to the back of the bag. So if you are travelling or going in an airplane you haven’t got to worry about things catching and getting caught in various places. Inside the bag itself, it’s got a silver lining which is designed to reflect heat, stop your board getting so hot inside. Also inside there, there is an area to put your 3 piece paddle, marked out nice and clearly so you can slide it in and there are bungees and clips to hold the paddle and board down securely. So definitely, the Red Paddle Co bag is the market leader still when it comes to the best bag on the market. Moving on to the Titan Pump. It’s a pump that doesn’t really need much of an introduction, it is an award winning pump at many trade shows, it was the first of its kind aa it’s a double chamber, one way pump, so you can pump it up on both chambers, pushing a large amount of air in your board at one time and then when it gets hard work and you can’t push down anymore, you can change the valve over and just select the small cylinder. So it is a great pump, tried and tested, we use it all the time for inflating stuff. And the hose comes with a lot of attachments so if you want to pump up other inflatable things, like kitesurfing kites and lilos, you can do that as well. 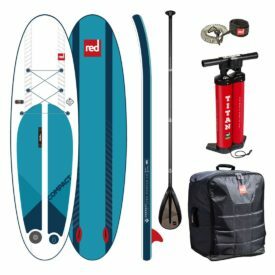 Now you will find that when you are looking to buy a Red Paddle Co board this year, most boards will come as packages, with leashes and paddles. The sort of standard paddle you will get is an aluminium 3 piece paddle, which is absolutely fine. We’ve done a full comparison of the Red Paddle Co paddle range in another video, so check that out. So as far as the retail price is concerned, as a package, the 9’8″ retails at £849 ($1199), the 10’6″ retails at £849 ($1299) and the 10’8″ retails at £899 ($1349). So let’s have a look at the outline template of these boards and talk about who they would be best for. So the big board we have here is the 10’8″, then moving down to the 10’6″ and the smallest board in the range is the 9’8″. The 10’8″ is 34″ wide, the 10’6″ is 32″ wide and the 9’8″ is 31″ wide, so straight away, you can see that the 10’8″ is going to give you way more stability, it’s a bigger board, you can get more people on it. Maybe you can get a dog or a little one on the front, or maybe even paddle two adults on this board if you want to play around. It’s going to hold a lot more weight and it’s going to be a lot more stable in the water, becasue of the overall size, it’s got more volume, it sits at 296 liters. It is going to be ideal for the heavier paddlers up to about 120kg (265lbs) or somebody who wants a bit more stability and they’re not that confident. 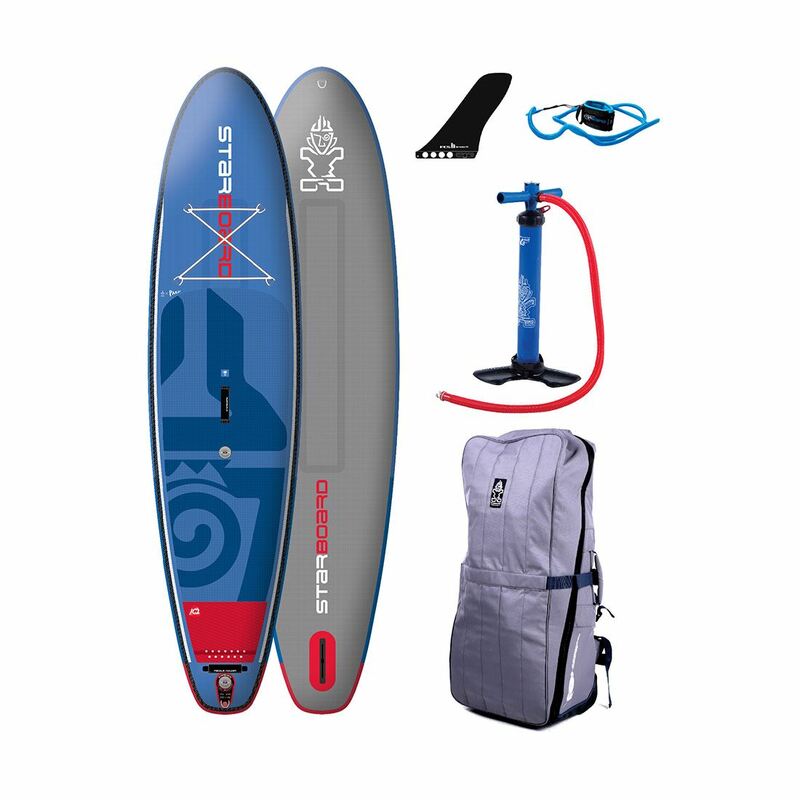 It is an all round board that you can paddle in flat water and get into the surf on, but it isn’t going to surf as well as the smaller other boards. So looking at the 10’6″, because it is a little bit narrower in width at 32″ wide compared to the 10’8″, it’s going to have a little bit more glide, it’s going to paddle a bit quicker and be easier to paddle in a straight line. it’s going to surf a little bit better on the wave but it’s not going to carry so much weight. Rider weight, probably about 100-105kg (220-230lbs). The 10’6″ is pretty much the go to size when it comes to getting into paddle boarding, especially for a family. You can get a kid on the front, you can still have enough stability, but you can still do a lot of all round paddling. Moving on to the 9’8″. You can see the outline has changed shape, it’s way more pulled in at the tail. 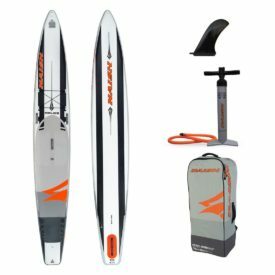 For that it does offer a bit more performance in the surf and it makes the board way easier to turn around on the flat water. Being 31″ wide, it’s definitely not as stable as the 10’6″ or the 10’8″ and it isn’t going to have as much forward glide across the water as the 10’6″ either. 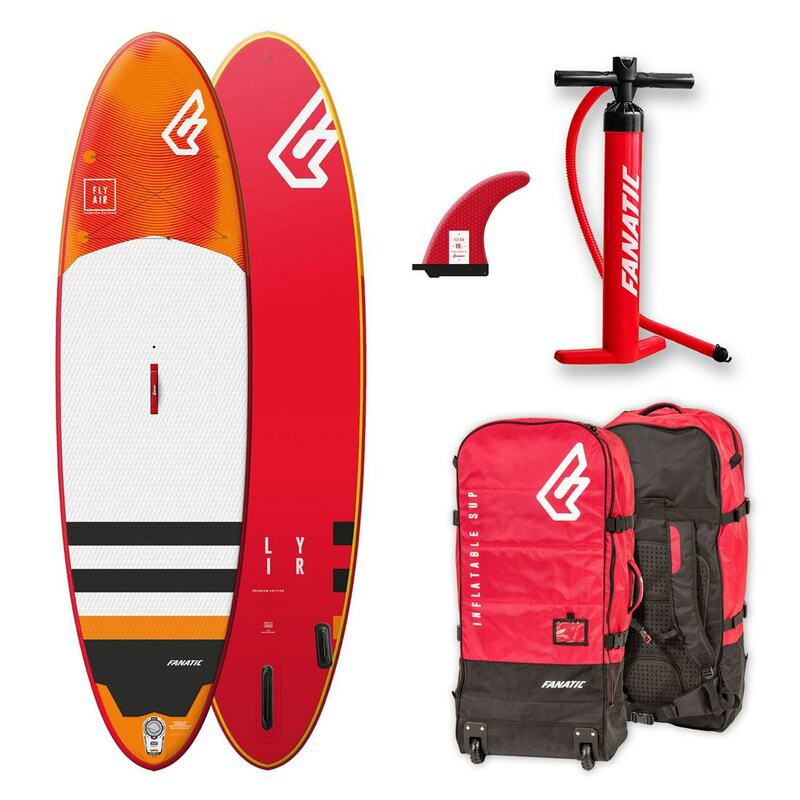 But, if you’re using it at the right body weight it’ll probably take up to about 95 kg (210lbs), but if you used it maybe around the 75kg (165lbs) – 70 kg (155lbs) a lighter rider, this board will perform really well comparatively to a heavier rider on the 10’6″. So if you’re a smaller person, and after an all round board, maybe look towards the 9’8″ instead of the 10’6″. Other things to bear in mind, the 10’6″ and 10’8″ are both 4.75″ thick, and the 9’8″ is 3.9″ thick, so almost 4″. 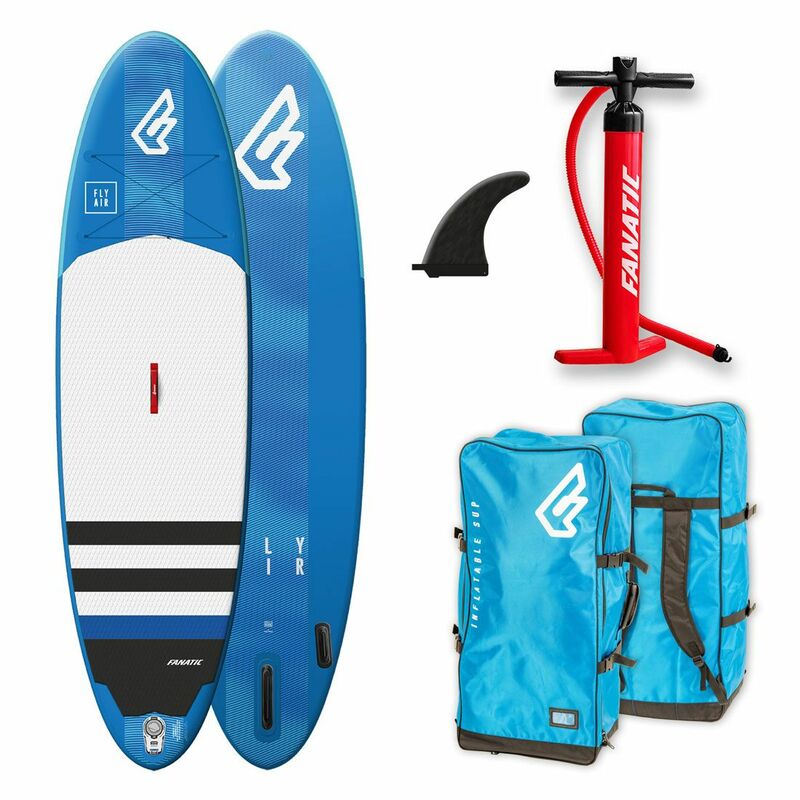 Obviously the bigger the board, the more air you’re going to take to pump it up and the big difference tha the 9’8″ has got and the 10’6″ and 10’8″ haven’t got is the RSS Battens, which is a hard glass fibre batten that goes down the side of the board and gives it a huge amount of stiffness, which is why they can reduce the thickness of the board, and because they can reduce the thickness of the board it also helps it surf way better in the waves. So to give you a summary of the board. The 10’8″ can carry more weight, or more people or more stuff. It is way more stable than the 10’6″ or 9’8″. 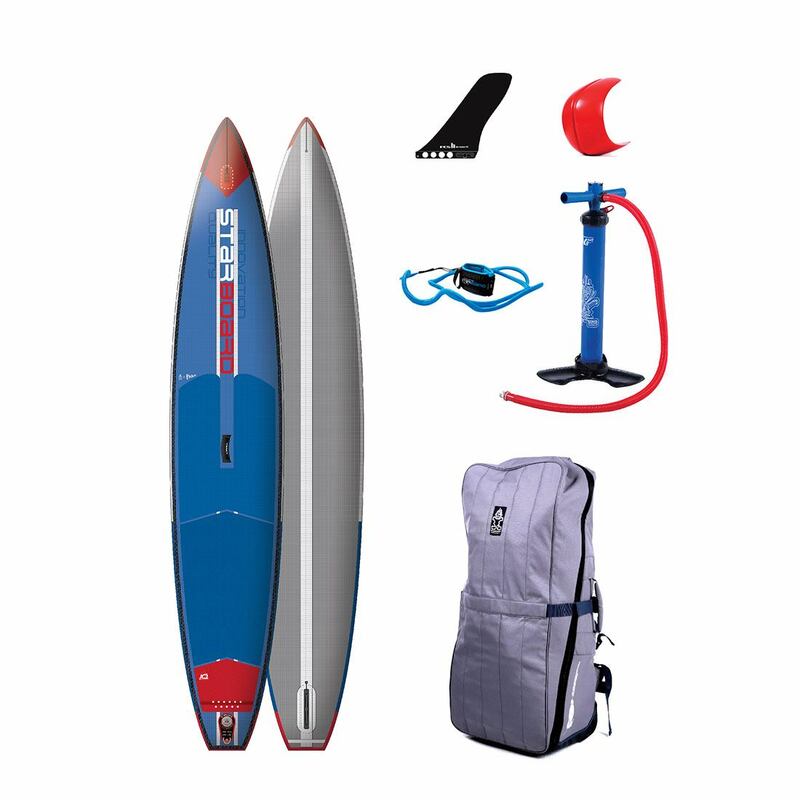 The 10’6″ is your go to all round family fun board, great for a multitude of users and doing lots of different things. The 9’8″ will be best for a light to mid weight rider or for somebody who wanted to get a bit more surf performance than the 10’6″ would give you. So finishing off with pros and cons and value for money. 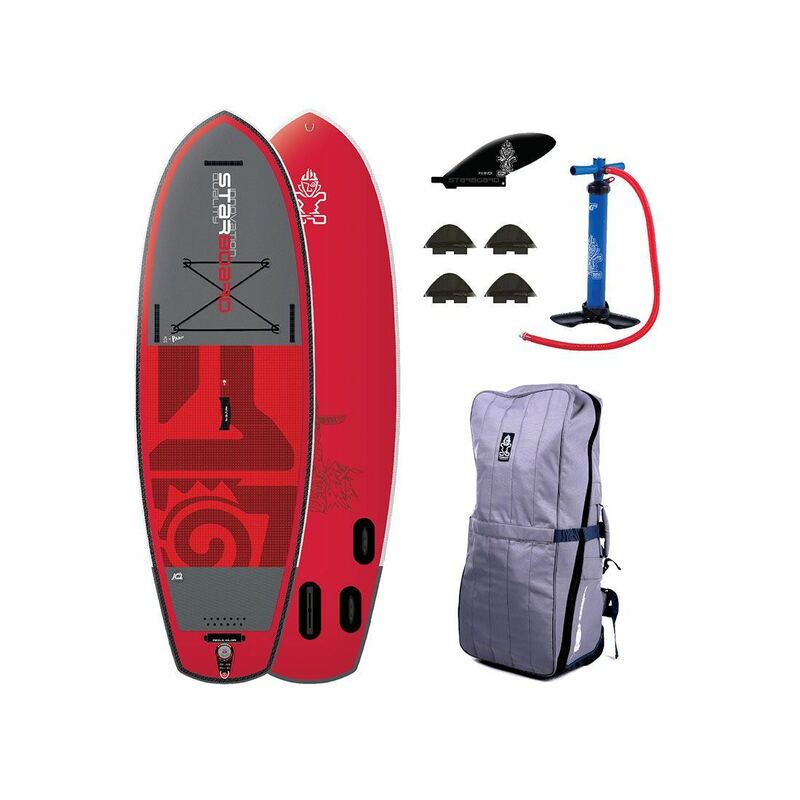 Well quality is pretty much every little thing you see when you see a Red Paddle Co. From the board, the bag, the pump, the paddle, everything in a complete package is sheer quality. The board shapes themselves are all spot-on and they’ll suit many different types of paddlers needs. And as for cons we have got absolutely nothing wrong with these boards and we can’t give you any negatives at all which is always a bit of a downside when we like to give you a negative to a board if we can. Value for money, they are at a very competitive price point they are a top-end brand and they are not the most expensive iSUP on the market, so yes, very good value. 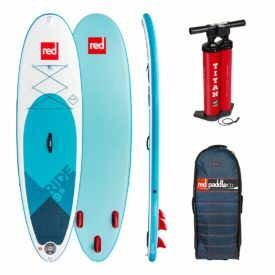 I really hope you found that SUPBoarder comparison video of the Red Paddle main Ride range informative and it helps you in those buying decisions. Posted on May 29, 2018 by Julian Kidd.